You can use a GoPro to film almost anything, but you’ll need some additional gear to tap into the action camera’s full potential. Fortunately, there exists an abundance of accessories from both GoPro and third-party manufacturers. While this speaks to the company’s immense popularity, it can also be overwhelming for consumers to navigate. If you need a place to start, we’ve compiled our favorite GoPro accessories below, from gimbals to dog harnesses. If you own a GoPro, it’s likely that you own other cameras. Nearly every camera uses the same, 1/4-inch thread for attaching a tripod plate, but not GoPro. To mount your GoPro to a standard tripod, you’ll need an adapter like the Fotodiox Pro GoThrough. Even if a GoPro is the only camera you own, having a tripod adapter makes it compatible with a broad range of additional accessories. While these little gems are available for as little as $1, we like the Fotodiox adapter because the all-metal mount is as durable as it is lightweight. It’s also “soft-treated,” meaning you can hand tighten the screw without needing a fancy screwdriver. The five different colors are a nice touch, too. It’s not news that GoPro’s onboard microphones leave much to be desired. In fact, GoPro itself has an accessory to help enhance audio capture. 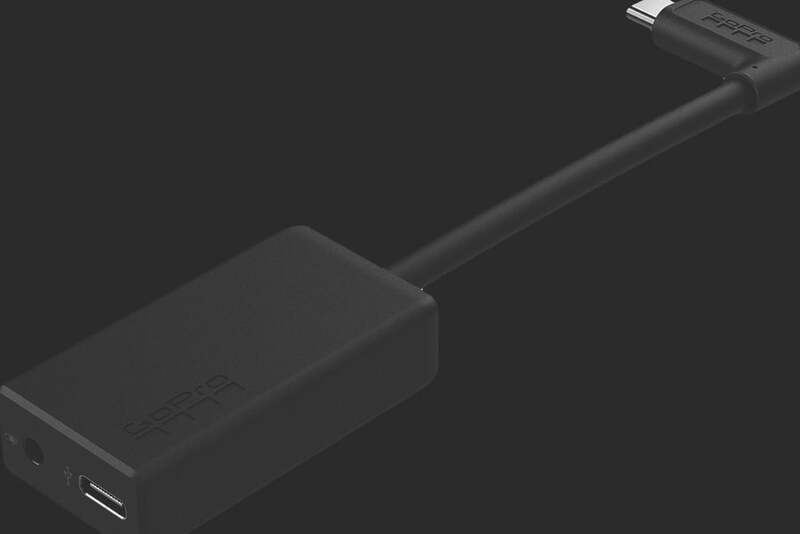 GoPro’s Pro 3.5-millimeter microphone adapter plugs into the USB-C port on a Hero5 Black or Hero6 camera and adds a standard microphone jack for plugging in external microphones (note that the adapters are not supported by the old Session models). As for what microphone you use with it, that’s up to you and your needs. If you own a Hero4 or older, GoPro has a different (and less expensive) adapter for those cameras. A GoPro camera makes time-lapse photography simple thanks to its wide-angle lens and built-in intervalometer. The GoPole Scenelapse takes it to the next level by adding motion into the shot. Effectively a glorified egg timer with a tripod mount on top, the Scenelapse can be set at predefined intervals where it will slowly rotate as your action cam goes about filming or capturing photos. Every hour, it rotates a full 360 degrees, making it easy to calculate with just a twist how long and how far you want it to pan. You know those cool photos and videos where you see half above water and half below? You can get those those too now with the help of SplitGadget’s Split Dome GoPro port. By putting a large dome in front of the lens of the GoPro, SplitGadget effectively adds a larger front optical element. This makes it easier to get split shots, especially when the water is choppy. It even comes with its own grip with wrist strap for easy handling underwater. While SplitGadget was one of the first to launch the accessory, there are not multiple similar accessories, including a $50 option from PolarPro. 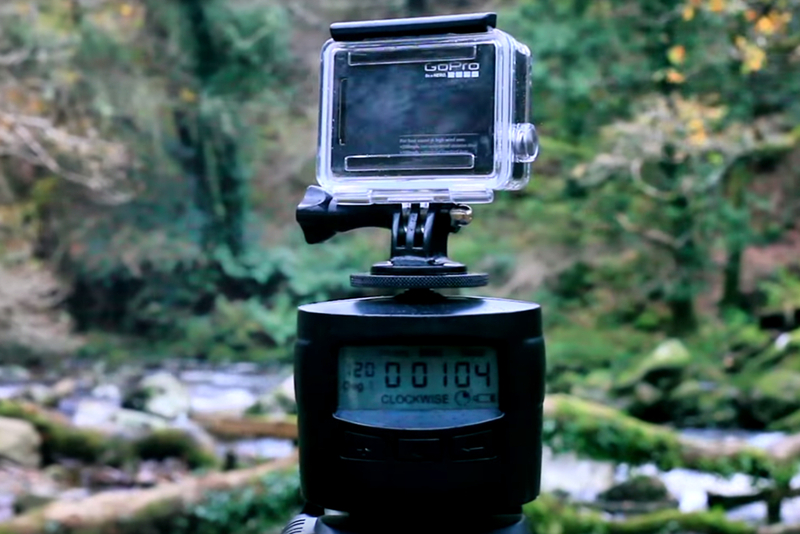 Effortlessly wrap your GoPro around any tree or post you want with Joby’s handy GorillaPod. Although it’s not as tall as a standard tripod — it measures a paltry 10-inches, after all — don’t knock it as useless. The device’s flexible legs can hold a camera to anything they can wrap around, turning trees into tripods. The GorillaPod is also equipped with a ball head, which allows for 90 degrees of tilt and 360 degrees of pan. As an added bonus, it also features a standard 1/4-inch 20 clip, and the bottom of the mount is threaded to fit on any tripod. There are a ton of GoPro sticks (we recently rounded up some of our favorites) but GoPro’s official 3-Way — an oldie but a goodie — is particularly handy due to its multi-functionality. You can use it as a basic handle for your GoPro, an extendable arm, or simply as a tripod. Though it doesn’t extend as far as some telescoping sticks — it moves between 7.5 and 20 inches — that actually makes it less cumbersome and lighter. The grip is also comfortable and can be detached to become an even smaller handle to your camera. This kit lets you quickly set up the exact mount you need for whatever situation you find yourself in. Not only is it the most versatile suction cup mount available, but it’s also incredibly secure and easy to use, thanks to the embedded ball head. It’s perfect for attaching a GoPro in or outside of a car, or even to rocks, boats, small watercraft, or anything with a relatively smooth surface. Suction cup mounts like the ActionGrip 3-N-1 really shine in high-speed situations, too, where a typical clamp just won’t hold the camera steady enough. The last thing you want is for your expensive Hero6 Black to go flying. Action camera lights can illuminate those after-sunset adventures or even give a little more punch and drama to your daytime shots. 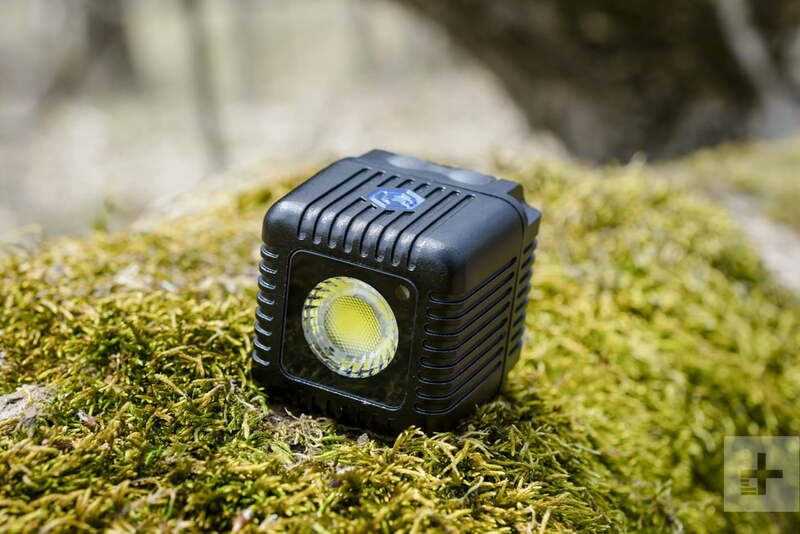 The Lume Cube is a mini LED light that shares many of the same characteristics you love about your GoPro — it’s small, waterproof, easy to use, and you can even control it from a smartphone. The mighty little light is pretty powerful at up to 1400 lumens (with options to dim for less drama) and the GoPro kit includes two with a mount, one on each side of the camera. Or, you can pick up a single light without the mount for about $80. Read our full review for more features (the review is based on the smartphone mount and accessories, but the light is identical). The TurnsPro mount helps with more dynamic time-lapse shots by adding some motion into the mix. You can set the mount on a sturdy surface, like a table, or use it with a tripod. You can also adjust the settings to accommodate for how you want to film, whether for 20 seconds or 10 hours, and how much you want the camera to rotate, giving you a bit more control over the aforementioned and less-expensive Scenelapse. It can also work both vertically and horizontally if attached to a tripod. Plus, it can be used with your DSLR and mobile phone as well as your GoPro. When you want to take POV shots from a lower angle without using your hands, the Chesty is your best bet. Helmet mounts (included with GoPro cameras) are great, but not all activities require one, and sometimes you don’t want footage that swivels and turns along with your head. This adjustable chest contraption is ideal for highlighting your hands, whether you’re playing piano or biking. We’ve even seen these at food and wine fests, which is a testament to their versatility and comfort (plus, if you spill wine on a GoPro, no harm done). The Chesty is available for kids, and there’s an alternative body strap that goes over your head. 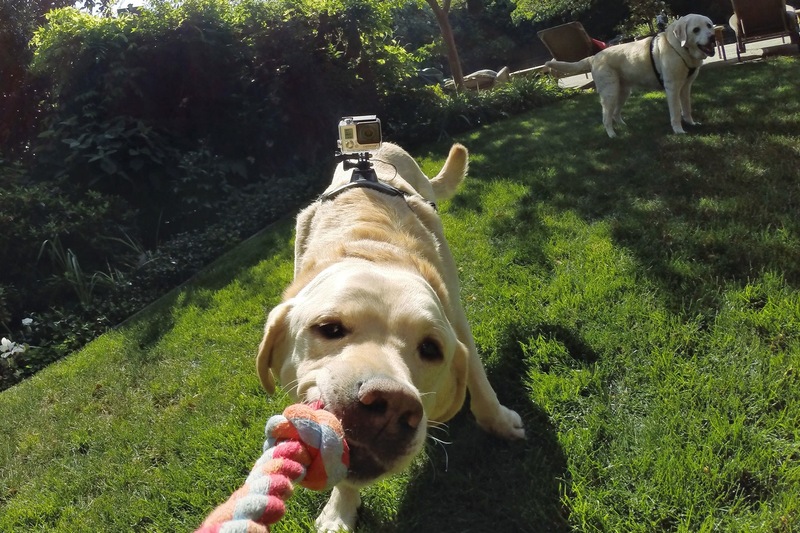 GoPro’s Fetch is the Chesty for your best friend. The Fetch is one of the coolest mounts for dog owners, as it gives you a look at the world from your dog’s point of view. The contraption allows you to place your camera either on your dog’s back or just below its chest, depending on how you want to arrange things. The harness is also washable, so Fido can roll in the mud all he likes. Mounts, gimbals, and more	Clamps, battery packs, etc.